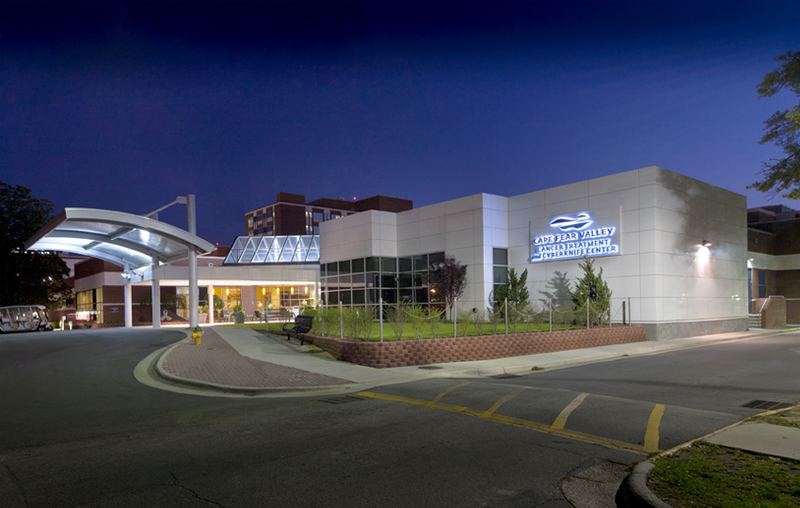 The Cape Fear Valley Medical Center Family Birth Center is a tertiary care center that provides nursing care to inpatient and outpatient pregnant women and newly delivered infants. The unit consists of an Antenatal Testing Unit, 5 bed triage, 15 Labor and Delivery rooms and 3 operating rooms. Care foci are management of the low-risk and high-risk antenatal, intrapartal, and immediate post partal patient. Annually we deliver approximately 4,500 infants. The Family Centered Care Units provides quality patient care to postpartum patients and newborn patients. This care is based on practice guidelines and professional standards. Couplet care providing individualized care by one nurse for the family unit. Mothers are supported in their choice to breastfeed by a lactation consultant, North Carolina breastfeeding educators, RNs, LPNs and Nursing Assistants.Cape Fear Valley Family Birth Center delivers more than 4,000 babies each year. The Birth Center consists of 15 LDR (Labor, Delivery, Recovery) rooms, to provide single-room service for labor, delivery and initial recovery. Mothers are allowed to "room in" with their newborns virtually 24 hours a day if they wish. Learn more.